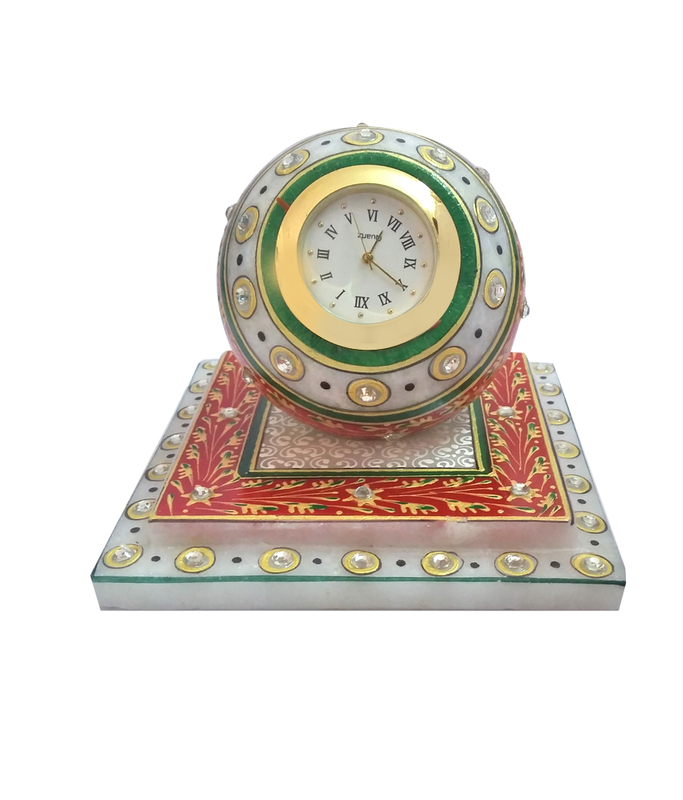 This handcrafted clock is made from marble (sangmarmar) and decorated with kundan meenakari work. 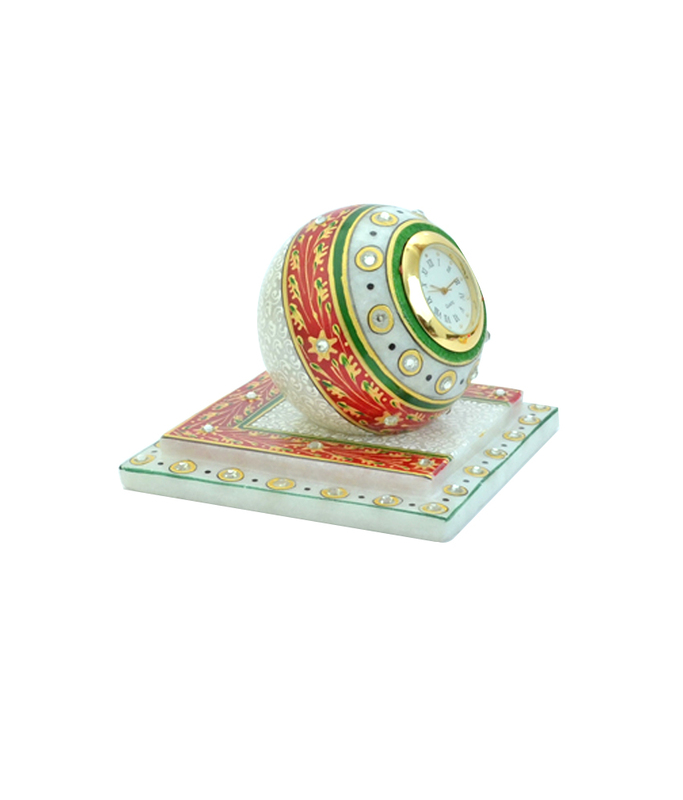 The gift piece has been prepared by the creative artisans of jaipur. 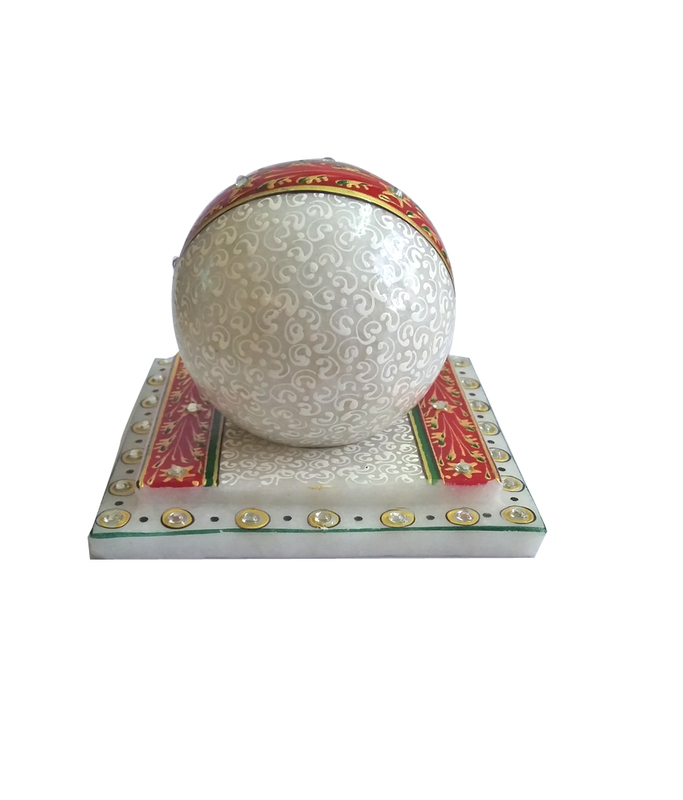 Its a perfect choice of gift to be given at the time of festivals Product colour may slightly vary due to photographic lighting sources or your Screen settings.